Step 3. 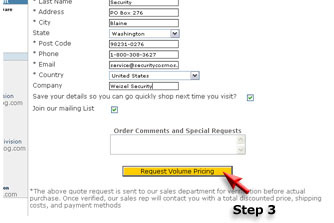 Provide your contact and shipping information in the following page and submit your request for pricing by clicking on the "Request Volume Pricing" button. 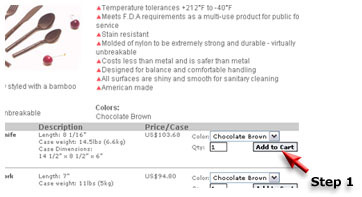 The submitted quote request is sent to our sales department for verification before actual purchase. Once verified, our sales rep will contact you with a total discounted price, shipping costs, and payment methods.